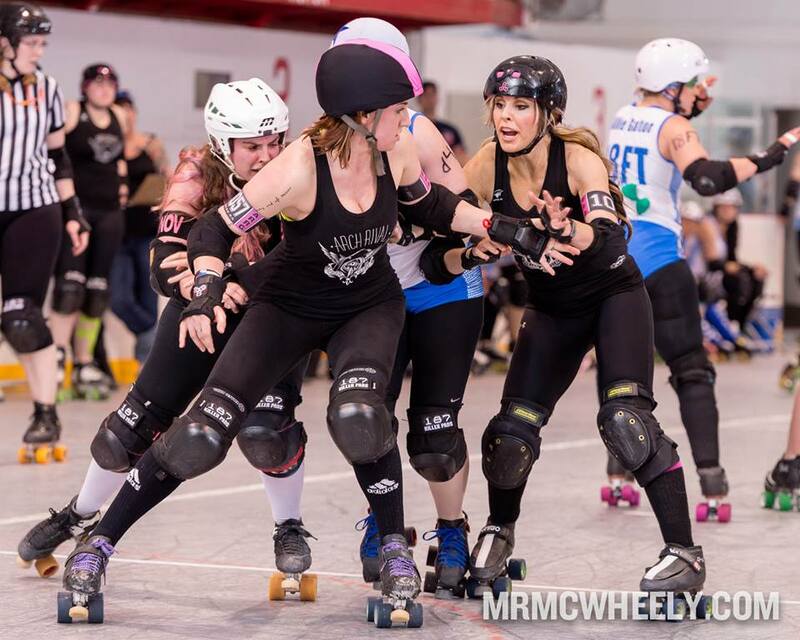 St. Louis’ best on quads battles a Midwestern adversary at home this Saturday as both combatants prepare for the upcoming playoffs in the Women’s Flat Track Derby Association (WFTDA). The Arch Rival Roller Girls All-Stars, currently ranked #27 internationally, host #20 Ohio Roller Girls at Midwest Sport Hockey in Queeny Park (570 Weidman Rd., Ballwin, MO). The first whistle blows at 6:30 pm. Although St. Louis (5-6) has not played at home since early May, they haven’t been silent during the summer months. Road wins over #30 Jet City (Seattle, WA) and #33 Kansas City plus competitive bouts against #4 Rose City (Portland, OR), #8 Minnesota, #13 Atlanta, #17 Oly (Olympia,WA) and #21 Naptown (Indianapolis, IN) has been the end result of Arch Rival toiling its trade within derby’s school of hard knocks. But enough of the past…let’s dissect the here and now! ARRG plays Saturday the Columbus-based team (8-5) ranked seven notches higher in the international rankings. 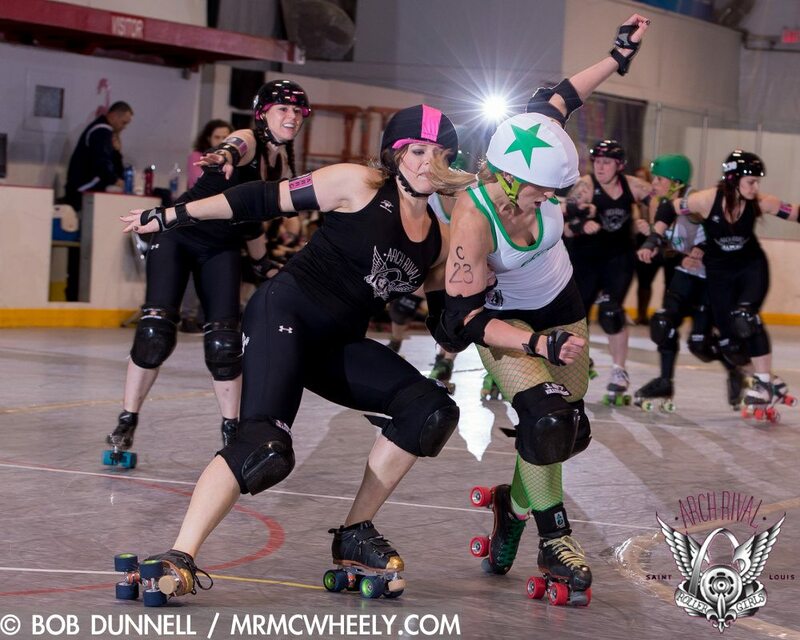 Jammers Brickyard, Mighty Mighty Boston and Annie Swanson will don the star offensively. Alongside the aforementioned Slayer, Emily Rinehart, Eli Wallop, Kayla Seiber, Downtown Dallis, Shimmy Hoffa, Party Foul, Coonrod, Shear-Ra Powers, The Ginger Assassin and Vanessa Tutka will lay down the foundation in blocking. 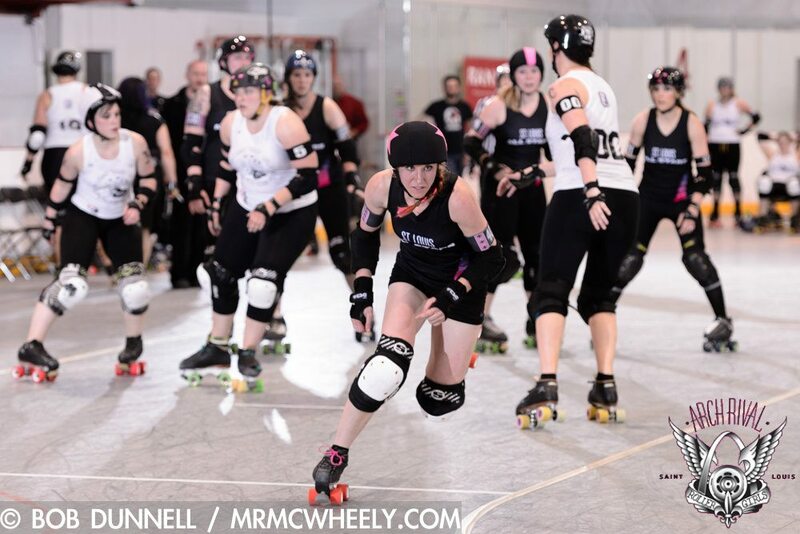 With its current #27 rank, Arch Rival has earned placement in the upcoming WFTDA Division 1 post-season tournament. ARRG is seeded seventh in the Salt Lake City playoff, one of four international brackets, and plays #10 Tri-City (Kitchener, ON, Canada) on Friday, September 26. Saturday’s pre-playoff contest against Ohio is projected to be extremely competitive contest. 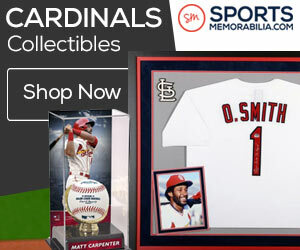 The opponent, a literal arch rival of Arch Rival, is also gearing up for its own respective post-season push. Ohio is currently ranked #20 internationally, which netted them a fifth seed at the upcoming WFTDA Division 1 playoff round held in Evansville, Indiana in September. They’ve won two straight, including a 239-109 victory over #46 Queen City in June. What’s most imposing about team from the Buckeye State is the fact that they have been a green-colored thorn in St. Louis’ side the last three seasons. In five games historically between the two leagues, Ohio holds a 3-2 edge and all the meetings have been topsy-turvy in complexion. The prior battles on the flat-track between the two leagues are not just hyperbole. Specifically, a pair of recent post-season anecdotes has had league-lasting effects. Ohio shattered ARRG’s playoff dreams with first-round upsets at WFTDA tournaments held in Niagara Falls and Ft. Wayne, Indiana, respectively in 2012 and 2013. In both bouts, the lower-seeded Columbus squad overcame huge deficits early en route to convincing wins. Pointedly for Ohio, the success found last year in Ft. Wayne provided a massive springboard, inevitably resulting in a silver medal at that particular playoff and an one-way ticket to its first-ever appearance at the WFTDA Championship tournament, where it was eliminated in the quarterfinal round. 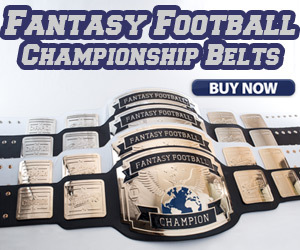 To be considered one of the eight best leagues internationally was quite an achievement for the scrappy league. At the conclusion of Ohio’s storybook season, high-profiled skaters announced retirements, which is expected in the sport. 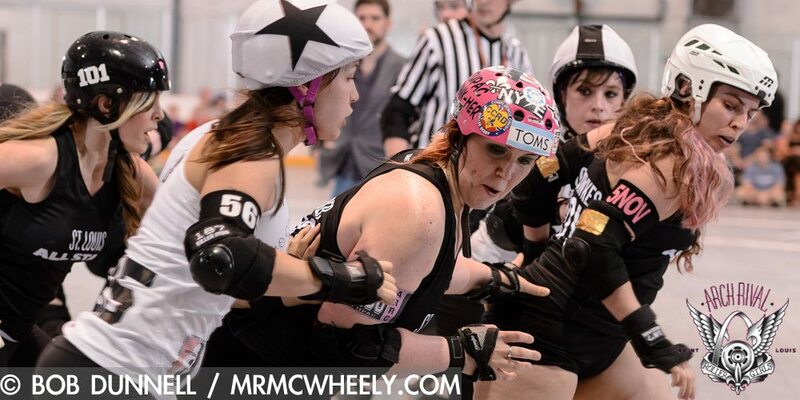 Yet the squad was able to maintain traction in the rankings and remain within the WFTDA Top 25 throughout the 2014 campaign while consistently battling stiff competition. 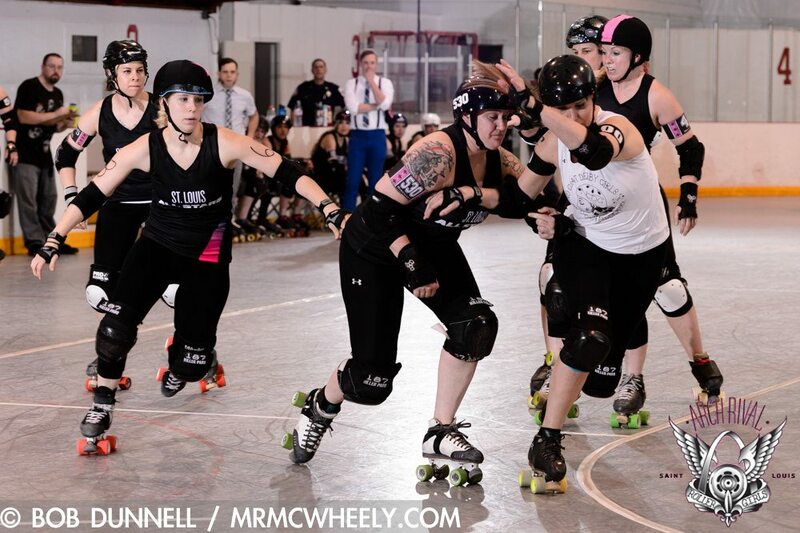 Jamming is paced by veterans Kitty Liquorbottom, Lora “Outa My” Wayman, Bigg Rigg and offensive lynchpin The Smacktivist. Supplementing in blocking are veterans Amy Spears, Bratislava Bruiser, Paige Bleed, Sarah Bruce and a host of others. Altogether, clean play on the flat-track is a focal point for Arch Rival’s opponents. Arch Rival looks to maintain its undefeated streak at Queeny Park Saturday, which currently stands at 15-0. ARRG’s Slayer feels that unblemished mark at home is casually talked about amongst the team and might potentially provide the spark that nets a rankings’ upset. Conversely, Ohio’s Burnadeath looks at Saturday’s bout as just another day in the derby office. It is a given that both squads will be firing on all cylinders to pick up a huge win prior to WFTDA tournament play. And one can expect that another chapter in the continuing rivalry will be written after the final whistle blows. The A-team match-up will be followed by a B-team contest featuring Arch Rival’s Saint Lunachix (3-3) battling Ohio’s Gang Green. Looking for its second straight duke, the Lunachix will send out Chokehold Chanel, Molecular Mayhem and Warpath O’ Jen in the jamming rotation. Up front for blocking for will be The Ginger Assassin, Cloak N’ Drag-Her, Coonrod, EnYa Nightmare, Fletch-A-Sketch, Girl Fawkes, Jamheiser Bush, Morgan LeFaetal, Party RockHer, Grave Danger, Science Friction, Sp!ce Rack and Yo-Adrianna. OHRG’s Gang Green (6-6) will counter with jammers Blitz Lemon, Sarah Bruce and Elektra Magneto while Kloverkill, Texas Chainsaw Sasskicker, Lil’ Spitfire, Garden of Beatin’ and others propel the blocking. For more information on the Arch Rival Roller Girls, which includes a link to discounted online tickets for Saturday’s double header, go to archrivalrollergirls.com.